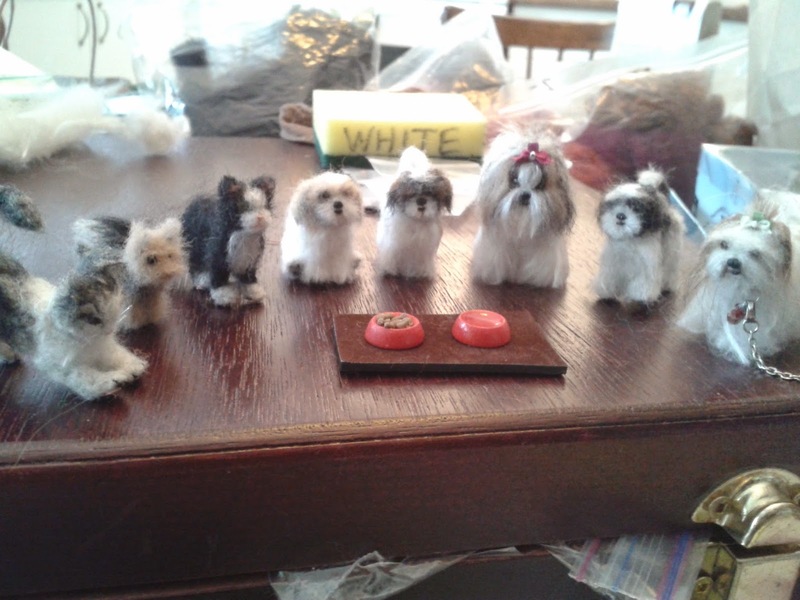 Ririne's Miniatures: A trade with Judy Blondell! If it wasn't for Liz, none of this would have happened, and I am very gratefull! She is simply the greatest! Thanks Liz! I was talking to Judy about the possibility of making a replica of my wedding pumps and my husband's shoes and she agreed to make them! I can't wait! I mentionned that one of my projects was to make a replica of my wedding dress and she said that she could do that too. Wow, I can't wait to see how beautifull it will all be!! What a great miniature filled day! Now gotta go back to make more felties!